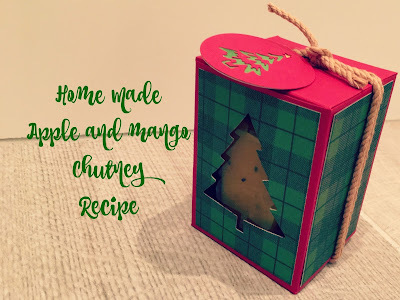 On Friday I shared a video on how to make a beautiful box to house a jar of my home made apple and mango chutney. Click HERE to watch it if you missed it last time. I mentioned that last year I had made a video on how to make the chutney. Lots of people asked me to share it - so, your wish is my command and HERE it is. I hope you enjoy it and if you do give it a go, love the chutney as much as we do. I will be back on Friday with a great papercraft project.